If you need a smog test in San Dimas, then you will be hard pressed to find a group of professionals that you can trust more than the experts here at Johnny’s Auto Service. We offer a comprehensive smog check service to help get you and your vehicle back on the road and are confident that you will not find anyone who can match our quality service. California’s Smog Check program is a joint effort between the California Air Resources Board, the California Department of Motor Vehicles, and the California Bureau of Automotive Repair. It was first implemented in 1984, and though the exact details of the program have changed, its purpose has remained the same, to reduce air pollution in the state of California. Vehicles that have not passed a smog inspection are not allowed on public roads, and those caught driving them will be ticketed. If you have been searching “smog test near me” because you failed your smog test in San Dimas then we are here to help. Johnny’s Auto Service is a certified smog check and repair station, with technicians that are equipped with specialized tools. 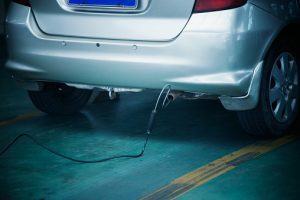 These tools help them to provide highly accurate assessments on whether your vehicle is emitting a level of exhaust that exceeds California’s standards. If it is emitting too much exhaust, our team can pinpoint the issue, fix it, and retest your vehicle to ensure that it passes the test, and we will provide you with the certificate to prove it. Getting a smog test in San Dimas that you can trust to offer an accurate diagnosis and seamless repairs has never been easier. Stop searching “smog test near me” and simply contact our team by filling out one of our online forms or by giving us a call at (626) 966-5212. Our experts will be happy to answer any questions or concerns that you may have and will help you schedule your appointment as soon as possible! !